I've been slow on the blog for the last couple of weeks, but with good reason. 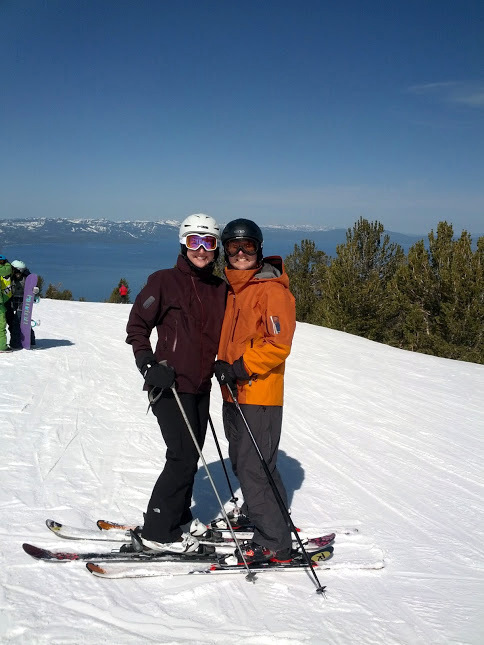 Kevin and I have been enjoying March so far with lots of ski time, run time, and friend time. It's been awesome! 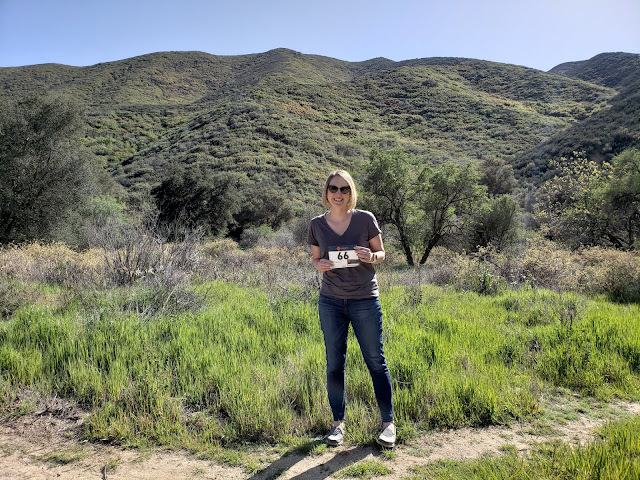 Two weekends ago, we headed to Placerville for Alisyn's birthday and had a wine tasting plus trail running excursion. There is definitely some good wine to be had in the El Dorado area, which we had never been to until that day. The winery highlight was Holly's Hill; check it out if you are in the area. Great wine, equally great views from atop the foothills. 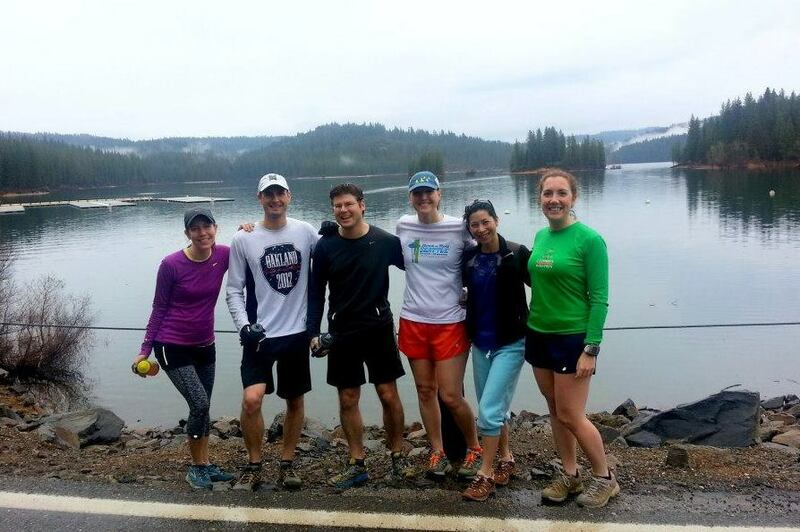 We stayed in Placerville that night and headed out for running then brunch in the morning. 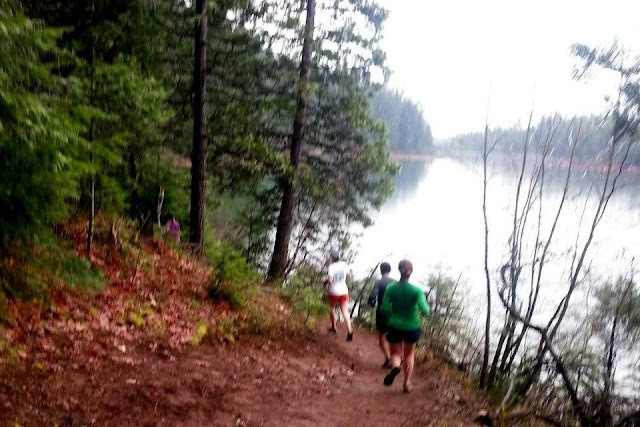 We ran near Pollock Pines at Jenkinson Lake; this was a beautiful 8.5 mile loop of the lake, complete with a big waterfall and snow. I loved it! A little blurry, but representative of the view. Last Saturday we took advantage of the fresh snowfall and headed to Kirkwood Mountain to ski. What a great decision that was! We had the best powder we've found this year and a bluebird day. Kirkwood was pretty crowded, but everywhere was due to the first decent snow in weeks. We went up on a day trip with the Bay Area Ski Bus, and I was impressed with the organization and the extras - like a party complete with wine, cocktails, snacks, and s'mores before we got back on the bus. I'd definitely take the ski bus again. On Sunday, Kevin and I went running in San Francisco. 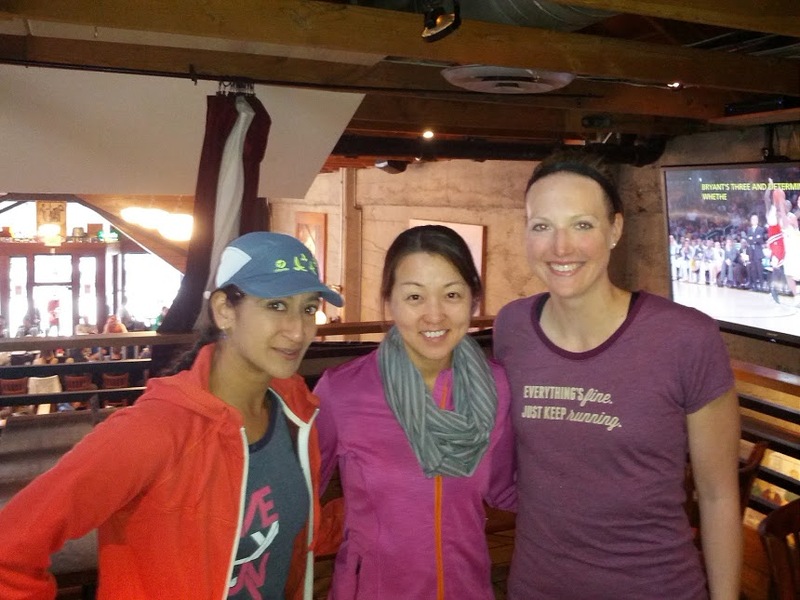 I met up with Oiselle Teammate Ayesha for a fun 10 miles along Embarcadero, then we had lunch with another Oiselle Teammate Sandra. I love meeting other birds and catching up with the ones I've met, it's one of the amazing parts of being on the team. Photo op during the run. Golden Gate never gets old. Ayesha, Sandra, and I at 21st Amendment for lunch. And that brings us to this week, the highlight of which was the corporate ski trip to Squaw Valley. But first, let me just say that I had my best set of 800m intervals to date on the track, and I'm pumped about it. It feels so good to conquer something that feels so daunting. Back to the ski trip. Usually I'd take the bus from the office, but a few friends decided to stay the weekend so we drove up from the Bay Area on Thursday morning. Thursday was super warm and I don't have a pass at Squaw, so I didn't pay to ski in those conditions. I enjoyed the lodge and took off on a run to take in the mountain views instead. I'm definitely a mountain person if I have to choose mountain vs. beach. Mountains along my run trail. View from the Resort at Squaw Creek. Note: people laying out by the pool, it was that warm. 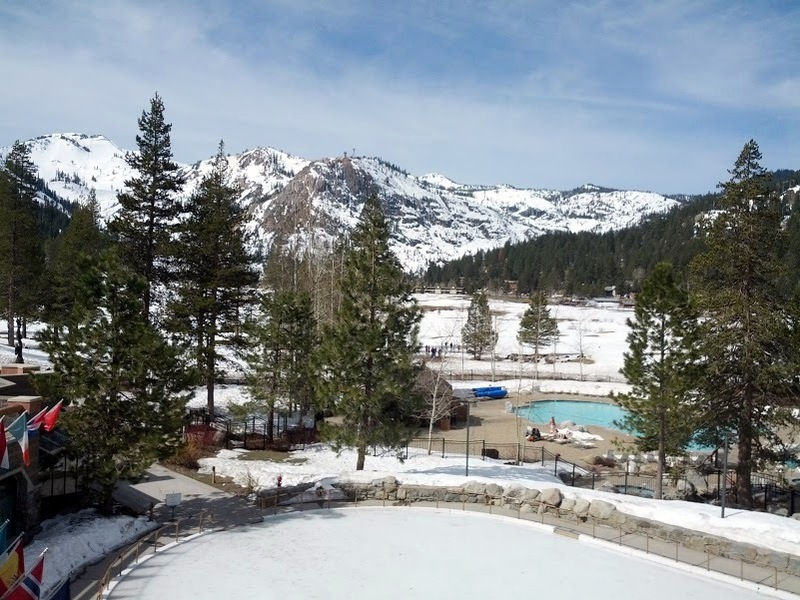 I skied at Squaw Valley on Friday with friends from work, although the conditions were icy in the morning and slushy in the afternoon, so not great. I'd still rather ski than not ski though! In the afternoon we headed down to our cabin in South Lake Tahoe, met up with the significant others, and went out to dinner. Our cabin had a pool table and we spent most of the evening playing pool. Fun! We skied Saturday and Sunday with our friends, and luckily the weather cooled down just a bit. Today's conditions were rather good higher on the mountain - it was hard to leave. I'm sad to think today might have been our last ski day of this season, but it's getting close to that time. Hopefully we'll make it up to Tahoe one more time, but it's hard to tell. On to the week ahead, which is race week! I'm running the Oakland Half marathon next Sunday and will be tapering a bit to rest the legs. I'm hoping for a PR goal if I feel good that morning, although not the sub-2 hour goal quite yet. It's still early in the year. Have a great week all! 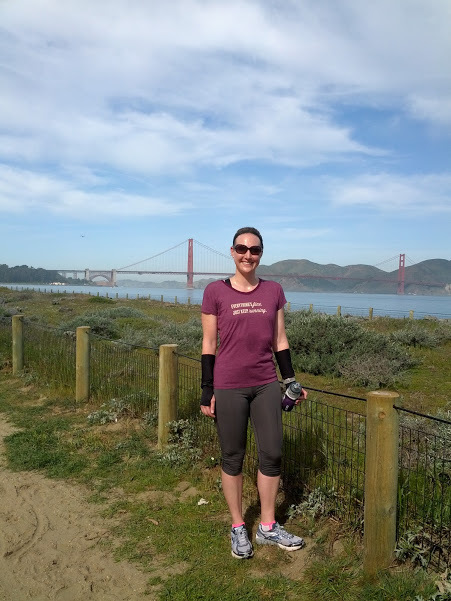 I'm running Oakland half marathon Sunday too! Awesome! I love your photo of the mountains along your trail run. It is so beautiful! I haven't done wine tasting in El Dorado Hills/Placerville before, but I have heard good things. It is on our list to do sometime in the near future though. I will have to check out your recommendation. I'm more of a mountain person too. The ocean/beach only makes my allergies unbearable. 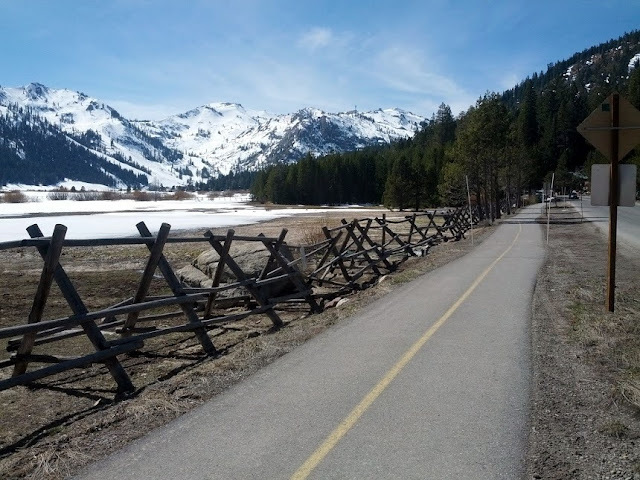 I would love to run in Squaw Valley. I also must visit Tahoe sometime too. When is the best time of year to visit for non-skiing people? Putting a bug about the Shiprock Half Marathon in your ear...supposed to be a pretty fast course, and beautiful :) It was so great to meet you and run with you-thanks again for making the trek!